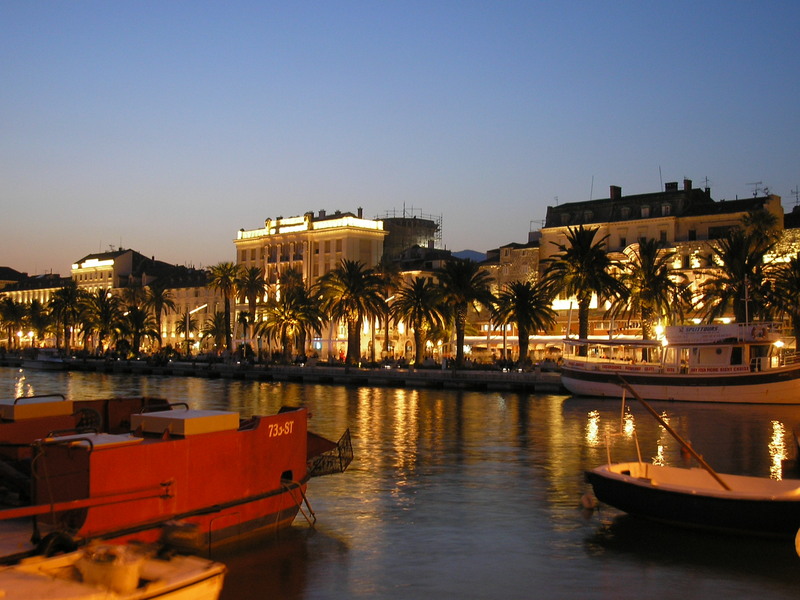 The Riva in Split gained its present form two centuries ago, during the French rule in these parts and the governorship of the Napoleonic Marshal Marmont. It features the southern facade of the Diocletian\’s Palace, Franciscan monastery and the Palace Dešković on the west, and Harbor Master\’s building to the east. 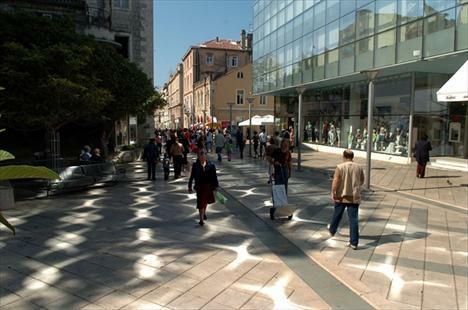 Today Riva is the pedestrian paradise for all the inhabitants of Split. It offers a spectacular view of the sea and ships together with the unique morning or afternoon coffee. A traditional bingo game is always played here during the celebration of the patron saint of the city St. Duje. Riva is also a scene for the large public gatherings like the homecoming of the Wimbledon champion Goran Ivanišević in 2001 and the welcome for the Freedom Train in 1995. Although a conqueror, Napoleon\’s Marshal Marmont was also the driving force behind the urban development of the Dalmatian cities and in return the people of Split preserved his name in the most beautiful city street and coined a medal for him. Marmnot’s street is not only splendid but historically significant as well. In 1922, a library and a reading room was founded at the present location of Alliance Francaise. It has one of the oldest pharmacies as well as the oldest cinema in town, Karaman. It also has a unique fish market where flies don\’t tend to disturb the merchandise because of nearby sulfur springs. Marmont street also features a spectacular Secession style palace Duplančić and Tončić, while the northern part of the street, through the Venetian fortification connects to the architecture of the theatre building and the church “Gospe o’ Zdravlja”. A witty modern fountain, called PIRJA, is not to overlooked! It is still seems to ask: What’s the punch line?